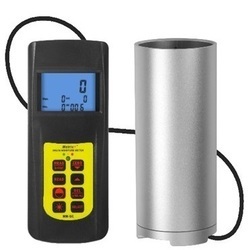 We are a Moisture Meters supplier in Chennai. We are a leading supplier of Testing and Measuring Instruments, Inspection Instruments in Leading Brand Mitutoyo and other brands. These brands are available for Competitive price to our customer. Itis the first of its kind. Equipped with a built-in thermal camera, MR160 is the only moisture meter with the power to show you exactly where to measure. 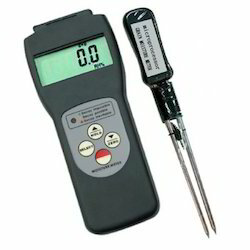 The moisture meter measures moister in the cotton lint, cotton seed. We are marketing Electrosmog Meter - 3 Axis. Enriched by our vast industrial experience in this business, we are involved in offering an enormous quality range of Grain Moisture Meter. Infrared Moisture Balance with a variable transformer.